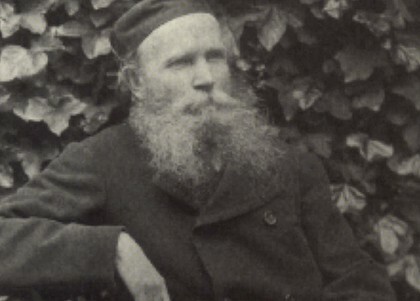 “William Chester Minor“. Licensed under Fair use via Wikipedia. In 1871 Dr William Chester Minor, a surgeon in the United States Union Army, resigned his commission and settled in London. Shortly afterwards he shot and killed George Merritt, a stoker, believing he had broken into his room. The subsequent trial revealed the extent of Minor’s mental instability and the details of the “Lambeth Tragedy” became international news. Minor was judged not guilty, on grounds of insanity, and was detained in safe custody “until Her Majesty’s Pleasure be known”. On 17 April 1872 he became Patient Number 742, an inmate of England’s newest asylum – Broadmoor in Berkshire, where he stayed for the next 28 years. Minor was born in Ceylon in 1834, the son of New England missionaries. He was sent back to America at 14, where he studied medicine at Yale, before joining the Union Army as a surgeon in 1863. His experience of war, and guilt of “lascivious thoughts” combined to tip Minor “over the edge”. He witnessed horrific mutilations during the Battle of the Wilderness in May 1864, during which he saw hundreds of soldiers were burned to death, and he was ordered to brand a deserter on the cheek with the letter “D”. In 1868 he was admitted into a lunatic asylum in Washington and moved to London in 1871, and settled in Lambeth. Here, he sank deeper into paranoia and eventually committed the murder that led him to Broadmoor. At Broadmoor Minor was housed in Block 2, given two rooms and allowed to amass a collection of books. This passion for the printed word brought him into contact with Dr James Murray, the editor of the Oxford English Dictionary. Minor started contributing quotations to the dictionary in around 1880-1, and continued doing so for 20 years, working systematically through his library. Simon Winchester in The Surgeon of Crowthorne, says this work became the “defining feature” of Minor’s life. In 1910, Minor returned to custody in America, where he died in 1920. The Surgeon of Crowthorne: A Tale of Murder, Madness and the Love of Words, by Simon Winchester.